Hello, my zynthian still is on its way to me, but i already wonder if it would be possible to attach a Sustail Pedal (Foot switch, on/off) to one of the GPIO pins of the Raspberry Pi and have this coupled via software to the Midi sustain Signal? It might be useful for keyboards which do not provide this option. Not specially difficult. The simplest way should be extending the zyncoder library. Wouldn’t it be best if we had a phone connector jack where we can plug in sustain or volume pedals? Depending on the webconf setting we have to translate the signal differently. 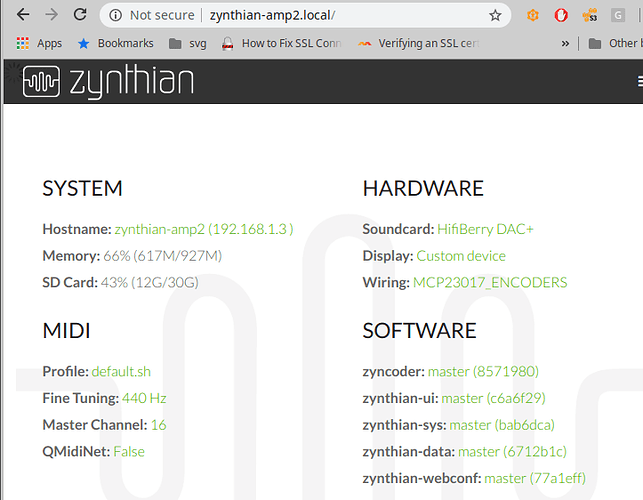 They are programmable as an Arduino, also the low cost version Teensy LC has 13 analog inputs and a DAC (all 12-bit), and SPI and I2C ports so you don’t need a USB port to talk to the Zynthian. Mind the 3.3V ports, they are not 5V compatible. The first 2 are binded to INTA and the other 2 to INTB. 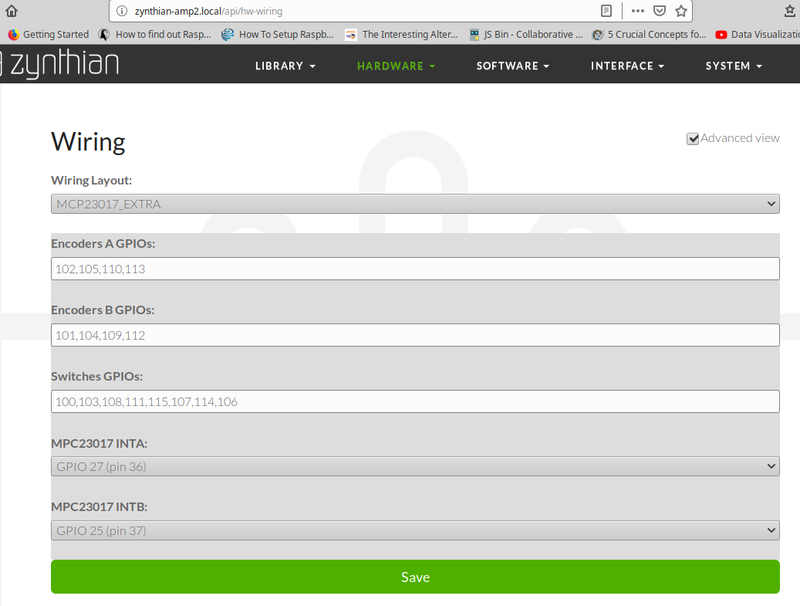 I’ve to add some code to zyncoder for easing the integration with the zynthian core and UI. After this, Zynthian will be the best piece of hw in the universe!!! Sustain would be an obvious one but I would suggest a rather than considering the traditional foot pedal alone, we also give consideration to a hold button on the panels, so we can use another i/o to output to drive a LED. Three I/O in all . . .
MIDI Panic ?? ? ? ? We would then use webconf settings to choose between a momentary sustain function or a flip flop style (one press on, one press off) and polarity. Other than that unless you want to implement a subset of the transport control buttons ( Motor 61 has them). More than sustain pedal i need something for fast switching settings (midi channel for example). My Yamaha cannot switch midi settings by using bank. and the UI active layer’s MIDI channel will be used. Until then, you can test the current hardcoded configuration by simply updating your software and following the above steps. Just an suggestion - one button as PANIC? Short push = All notes off, Bold = All sounds off? Panic is just … panic!!! and in live situation no one start thinking which button press is now required. As bonus this leaves one expander input free for future use (i have dream that one button can be user “programmable” for his/her needs via midirouter commands). Just an suggestion - one button as PANIC? Short push = All notes off, Bold = All sounds off? Panic is just … panic!!! OK! It’s implemented like this now. I also added a new Wiring Layout scheme to webconf tool, MCP23017_EXTRA, that will setup the 4 extra AllInOne zynswitches. You better use the new wiring layout un webconf. Anyway It should work. Have you updated to the last?